How Good is Your Chess?. Type: BOOKS. Detail: Salter, M. Product Code: 1875716092. 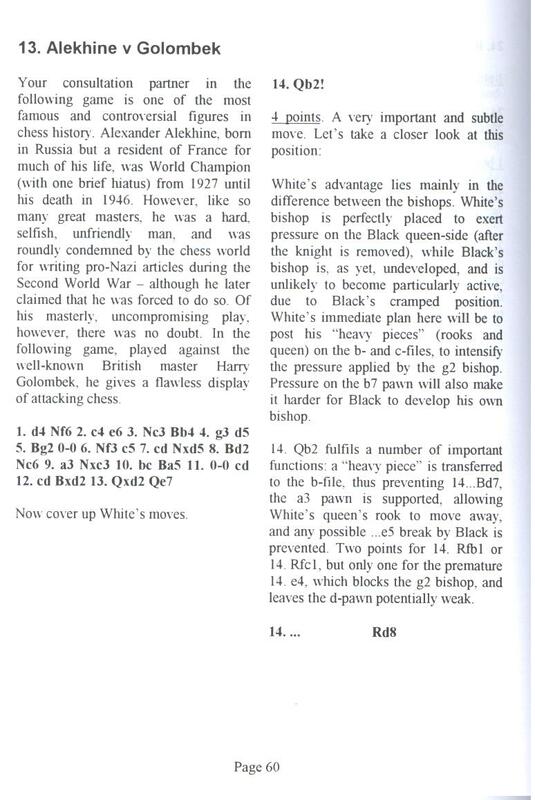 How Good is Your Chess is a collection of articles that have appeared in Junior Chess in the 1990's. Each article invites you to play against a famous opponent and assess your performance. Michael's articles are essential reading for all adults and juniors who are interested in improving their play. A KCC recommended book.